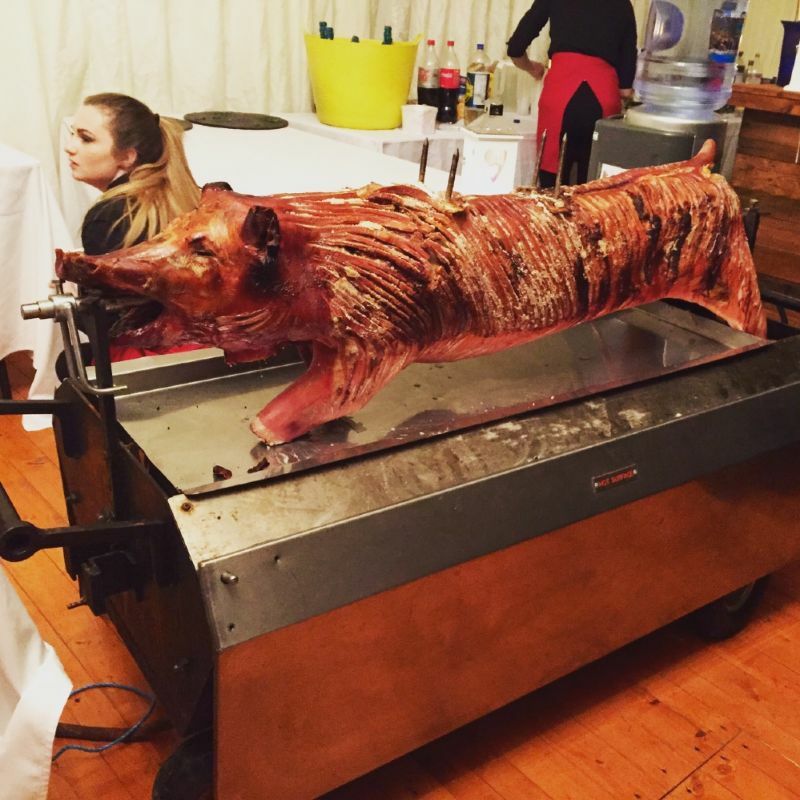 Our hog roasts have been served in halls, marquees and even castles for a medieval style banquet event. Our pigs are sourced locally from Portmahomack and when fully cooked, with the most amazing crispy crackling, will be presented in its full roasted glory, before the carving begins. 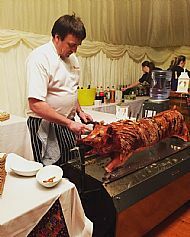 The hog roast can be served formally as part of a 3 course meal or informally on a bap with apple sauce and stuffing.